The Braggs are not alone, as Clara is the second case of GM1 in Alabama. In 2013, Porter Heatherly of Opelika, was diagnosed with GM1. 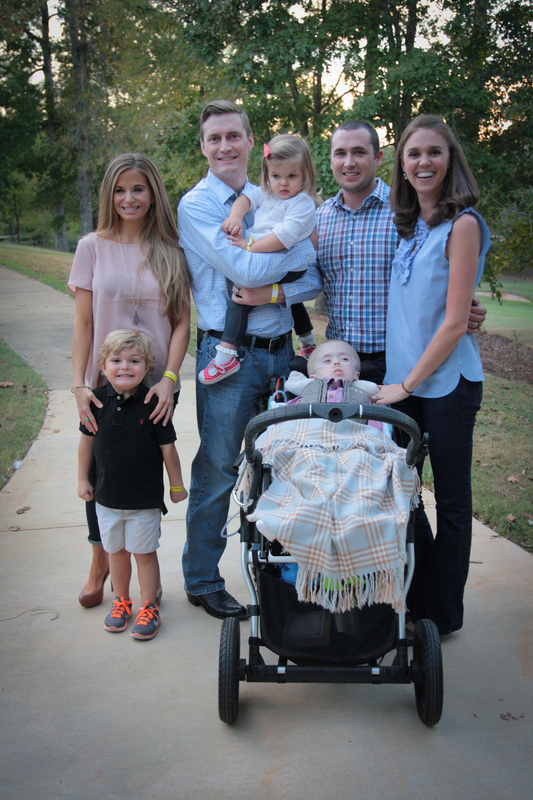 Sadly, Porter, the son of Sara and Michael Heatherly of Opelika, died of the illness Nov. 10 at age 4, living twice the age of children with the disease. Porter, the first case of GM1 in Alabama, and his parents, both Auburn alumni, made a lasting impact on the researchers and staff at the Scott-Ritchey Recent Center at the College of Veterinary Medicine, where scientists have worked for more than four decades on a cure for the disease in cats, and then to move that successfully to humans. 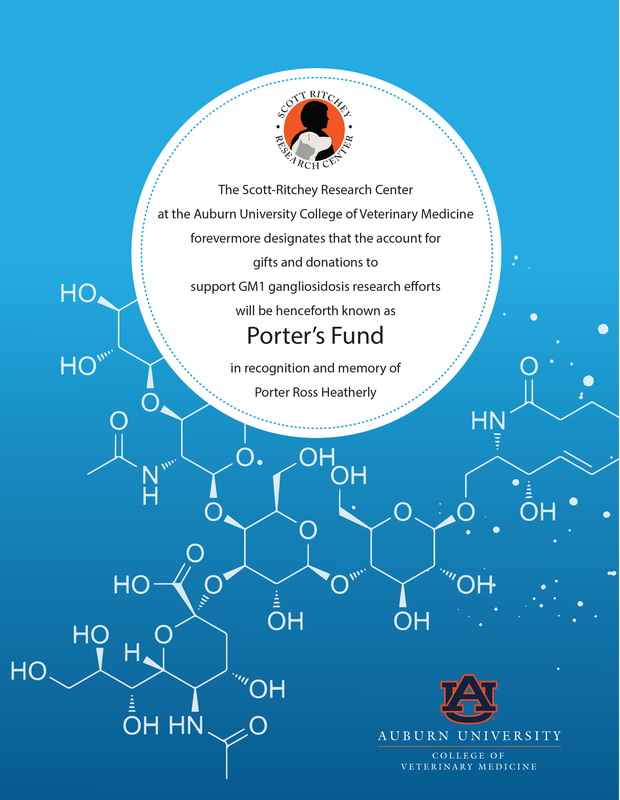 Recently, the name of the fund account for gifts for GM1 research at the College of Veterinary Medicine was renamed Porter’s Fund to honor the work of the Heatherly family to raise awareness of the research, and to memorialize Porter. These parents and others have banded together – linked by love for their child and a terrible disease – for a cure. They are using social media to tell their stories to bring attention to the potential treatment. The Heatherlys and the Braggs joined forces with Christine Waggoner and her husband, Doug Dooley, of California to raise awareness of and funding for GM1 research being conducted at the College of Veterinary Medicine and the UMass School of Medicine, part of a consortium of reseachers who developed a gene therapy vector being vetted for human clinical trials in 2017. The development of a treatment for GM1 gangliosidosis using AAV gene therapy was initiated in 2005 by Martin, a professor in the Department of Anatomy, Physiology and Pharmacology at Auburn, and Dr. Miguel Sena-Esteves, associate professor in the Neurology Department and director of the Gene Therapy Center at the University of Massachusetts Medical School. GM1 glangliosidosis occurs when the body does not produce enough of a specific enzyme, β-galactosidase (βgal), which recycles molecules from the body. When the molecules build to abnormal levels, they progressively destroy the body’s nervous system. The earlier the onset in children, the quicker the disease kills. Cure GM1 was founded by Waggoner and Dooley in honor of their daughter, Iris, who suffers from Juvenile GM1. To date, they have raised more than $1.2 million, but their goal is to raise enough to get the treatment developed by Dr. Martin and a team of Auburn researchers to clinical trials at the National Institute of Health next year, which will take nearly $2 million. The Braggs, Texas natives, moved to Alabama in 2014 from California through his position at PepsiCo/Frito-Lay. Clara was about 15 months old and, while she was enrolled at a daycare, they noticed that she wasn’t reaching the same developmental level as other children her age. 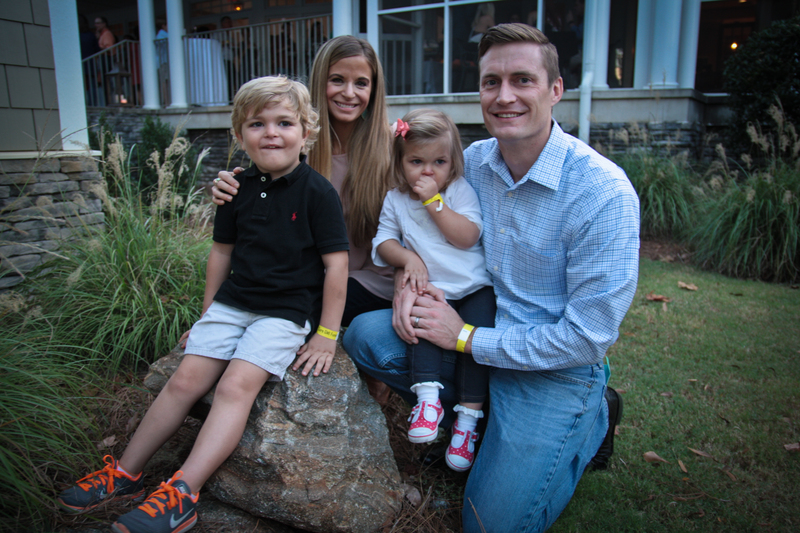 “We started early intervention by seeing specialists at UAB,” Jenny said. And after numerous tests, none giving them a diagnosis, the parents enrolled her in physical therapy. It was another doctor’s appointment that led to an answer. The neurologist recommended that the family enroll in a study through the UAB-HudsonAlpha Center for Genomic Medicine. They soon had an answer. “We were blessed with the opportunity to enroll in this study and we rejoice in the fact that she is not yet regressing,” Ryan Bragg said. Within 48 hours of the diagnosis, Ryan Bragg had researched the disease on the internet, learning about the college’s research efforts, and was on the telephone with Dr. Martin. “He was very kind and spoke to me for 45 minutes, providing more information,” Ryan Bragg said. The goal of all three families is to move giving to a larger arena, beyond family and friends to the public at large. “We’ve always been charitable people, giving to many worthwhile organizations,” Ryan Bragg said. “But never once have we been presented with the opportunity that one day we could say that a disease has been cured because of our donation.